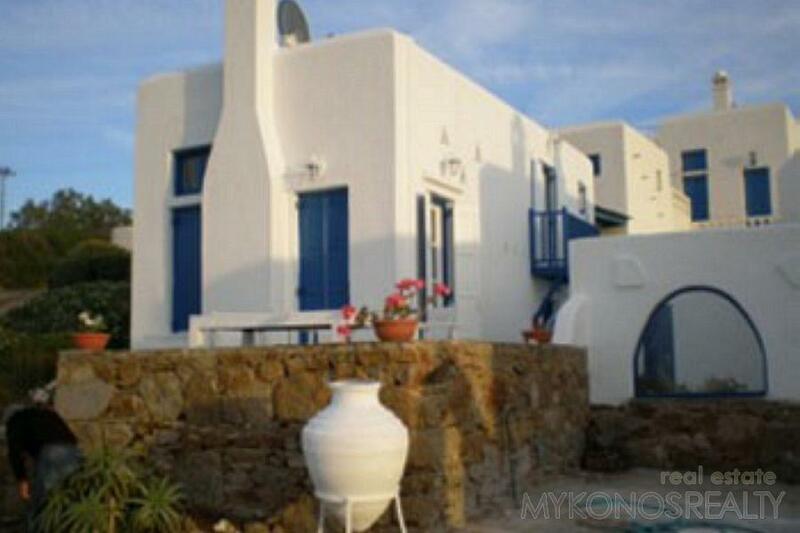 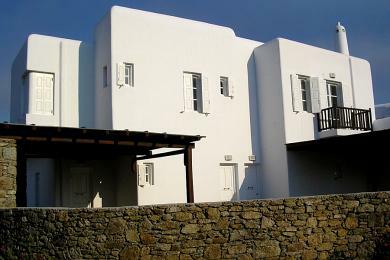 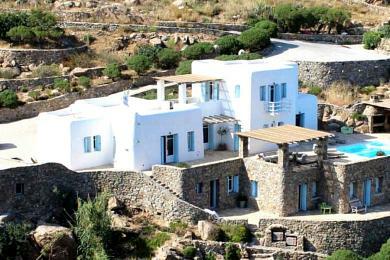 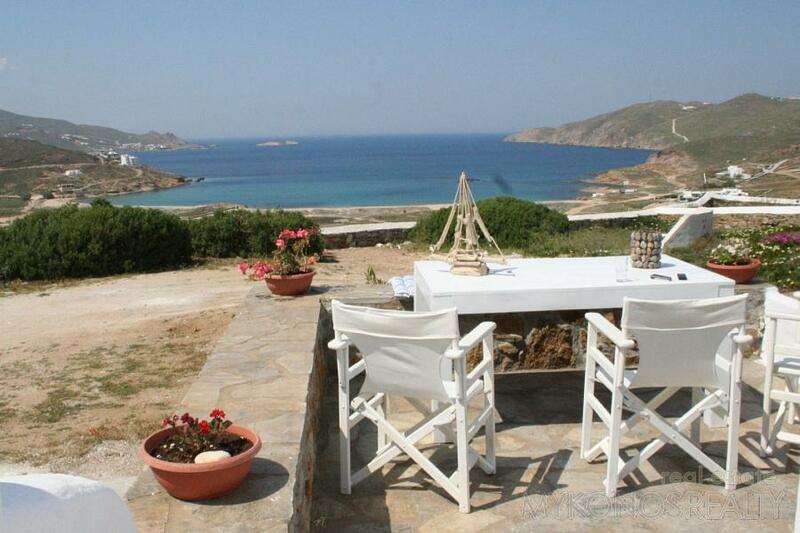 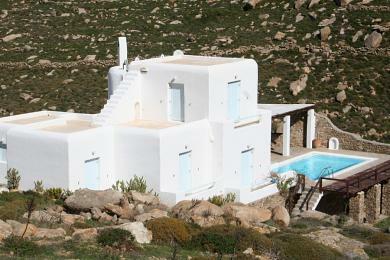 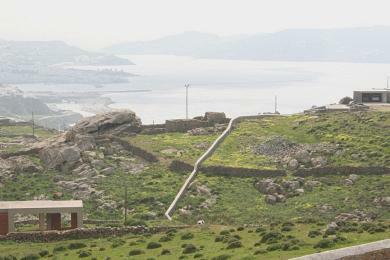 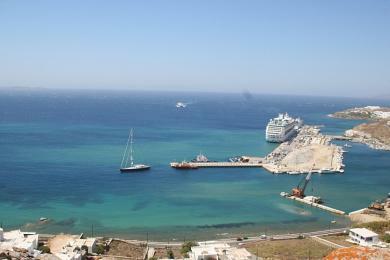 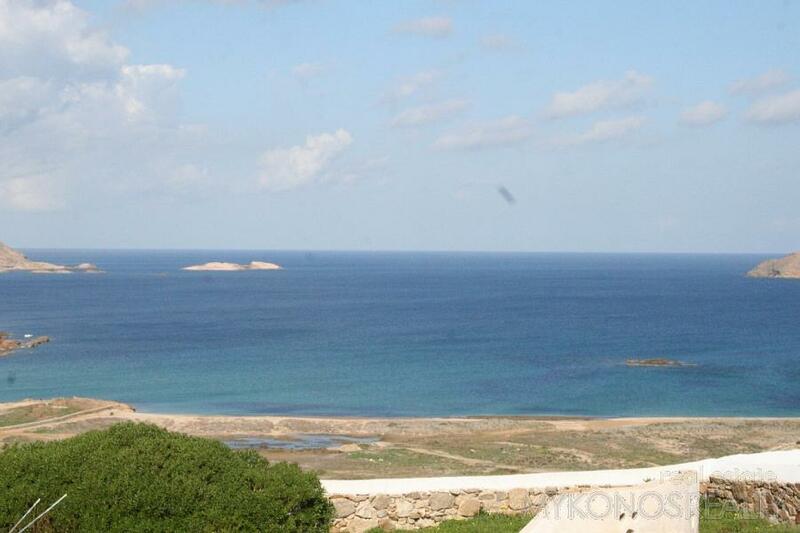 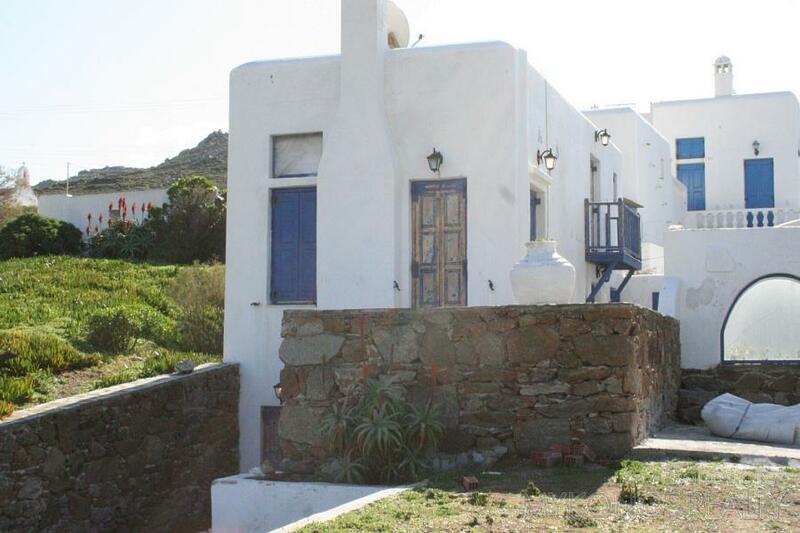 ﻿ Duplex / Triplex Apartment - For Sale - KYKLADES, MYKONOS FTELIA - Mykonos Realty. 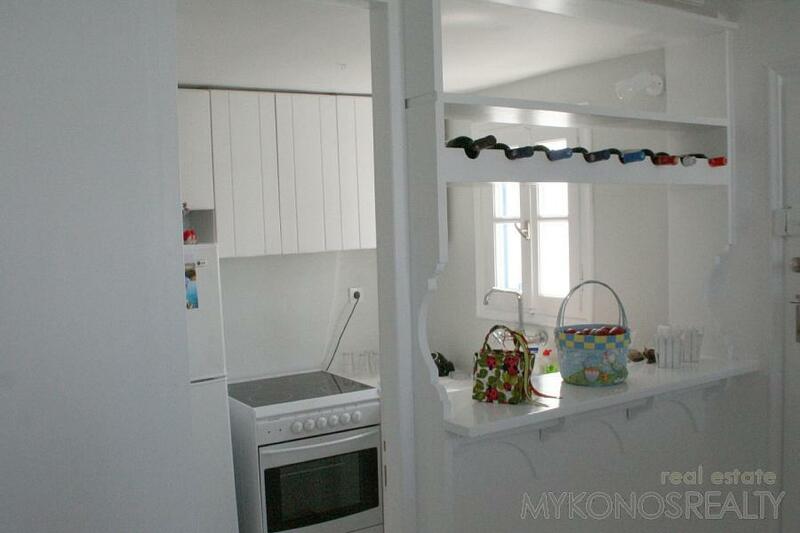 Ftelia, maisonette 81sq.m completely renovated (2008) and fully furnished and equipped, consisting of a ground floor 33,6 sq.m with one bedroom and a storage room and a first floor 32,2 sq.m with a living room and a fire place, a kitchen, a dining room and a bathroom. 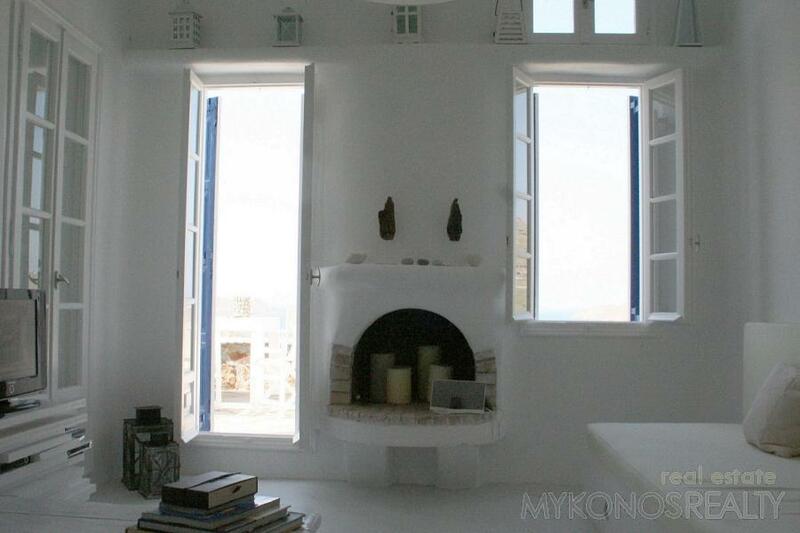 A spacious bedroom "raised open attic-style" (15 sq.m), large verandah, with panoramic view to the bay of Panormos and to the Aegean Sea, a garden, BBQ.